During the last weekend of June, Jim and I decided to spend the day together and go on a daytime date. I enjoy just spending time with him even if we are not doing anything, but it's nice to go out and have adventures together as well. Adventure! 10am >> Sleeping in is perfect for Saturdays. 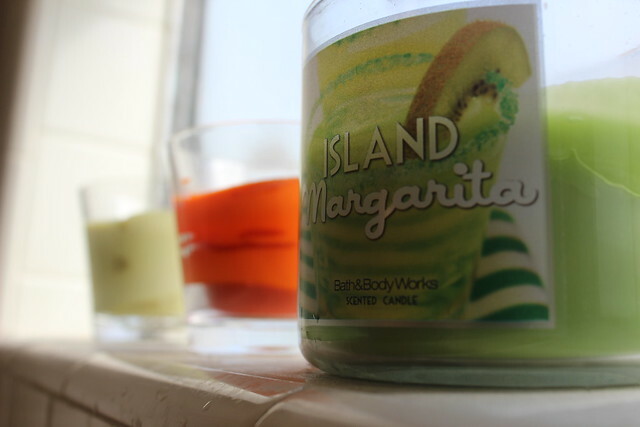 So is scented candles burning as you shower. 12pm >> Rock! Arriving at the LACMA for our date. 1pm >> Stanley Kubrick's camera lenses. I was very happy we got to see his exhibit before it left! 4pm >> Full of burgers and ready to go home. 5pm >> On the way home Jim stopped to get a hair cut and I walked around. I almost walked in this shop but I knew I would not be able to leave without buying too much soap. 6pm >> The view of our apartment's front steps from our porch. 7pm >> Dinner and TV.